At 11:00 p.m. last night the remnants of Harvey were located near latitude 14.3 north, longitude 71.8 west. The Tropical Wave associated with Harvey's remnants is moving quickly toward the west near 35 km/h, and this general motion will continue for the next day or two. 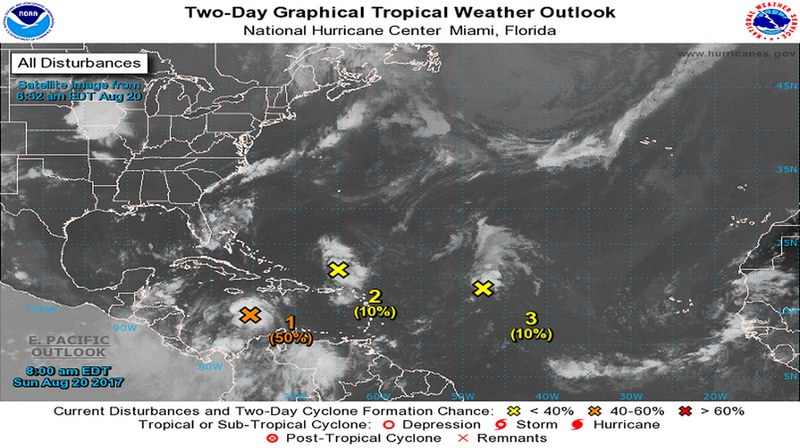 The remnants are expected to move westward across the central Caribbean Sea on Sunday and across the western Caribbean Sea toward Central America on Monday. Maximum sustained winds are near 55 km/h with higher gusts. 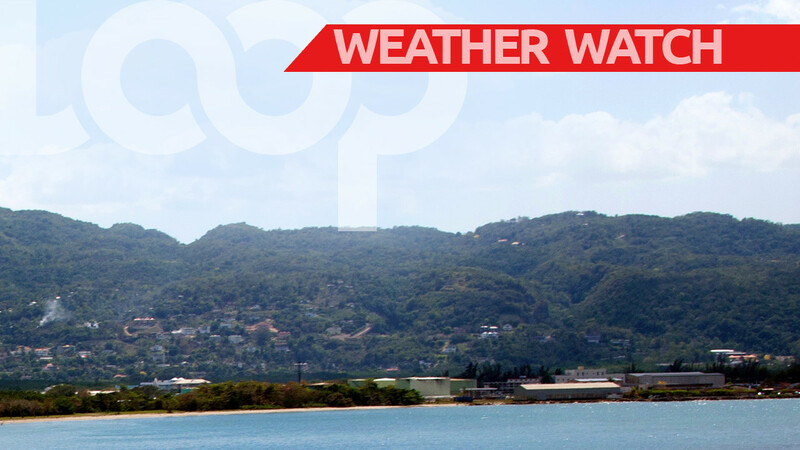 Although the remnants of Harvey is forecast to pass south of Jamaica, the island is expected to experience cloudy conditions with showers and thunderstorms today and tomorrow. 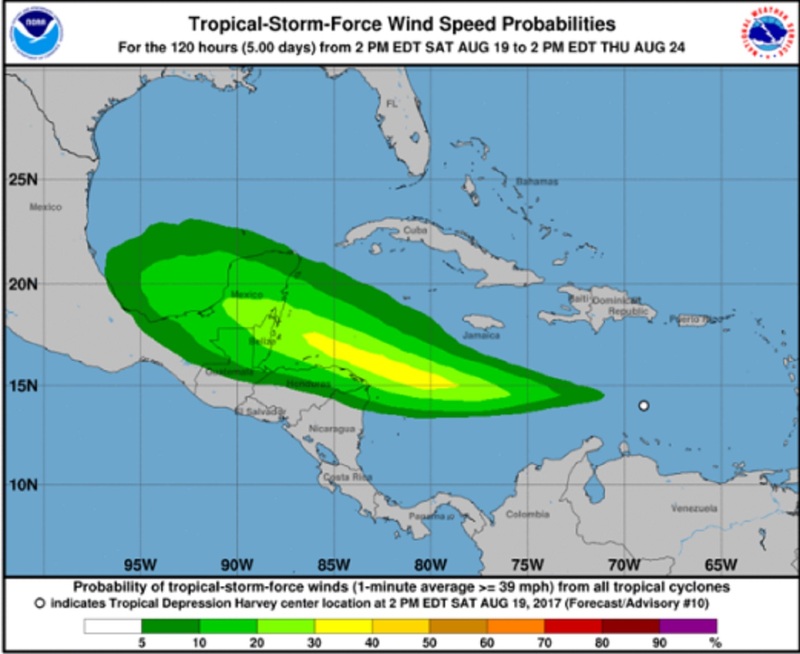 Windy conditions are also expected across southern parishes. 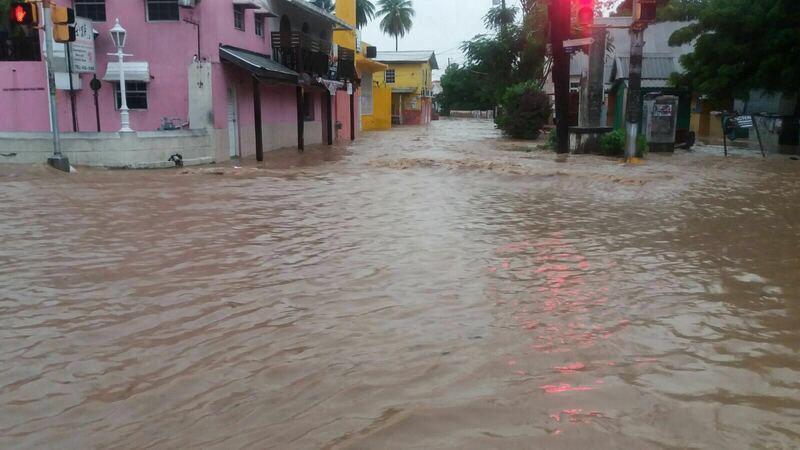 Marine interests, especially small craft operators are advised to exercise extreme caution as the remnants of Harvey traverse the waters south of Jamaica.